Tebuconazole - a colorless to light brown powder- is a broad spectrum fungicide used in a wide range of food and feed crops to treat pathogenic and foliar plant fungi. 3 systemic products in one. 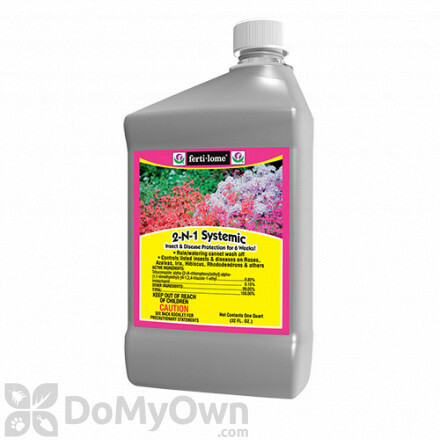 Promotes strong roots and beautiful blooms. Convenient and easy to use. 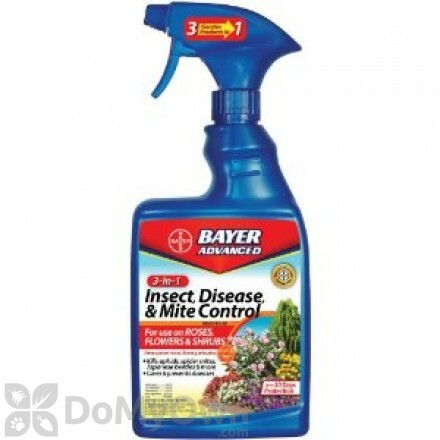 A fungicide and insecticide that protects plants, including new growth, against insects and diseases. 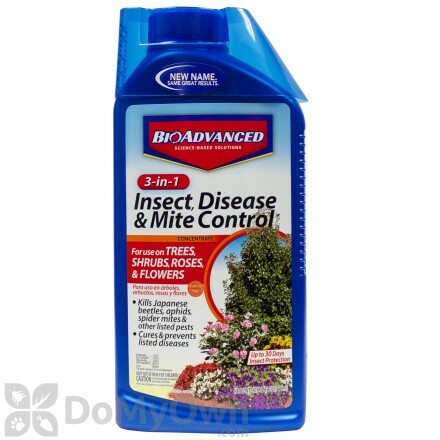 An insecticide, fungicide and miteicide that controls insects and diseases for flowering plants, trees and shrubs. 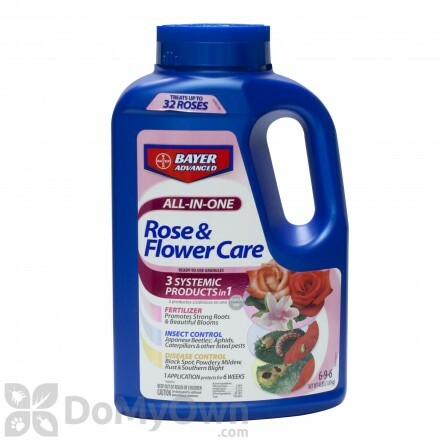 An insecticide and fungicide that protects for up to 6 weeks on flowers and shrubs. 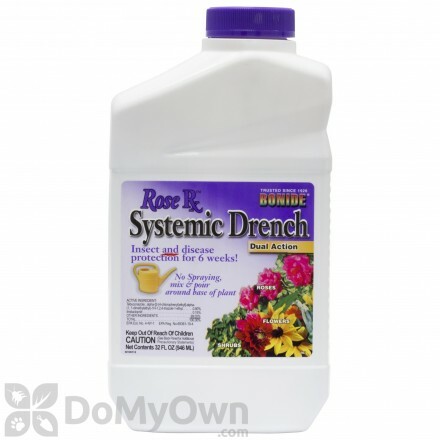 A systemic insecticide and fungicide that is rainproof with a 30 day protection from insects and diseases that harm flowers, trees, and shrubs. A professional fungicide for the prevention and control of fungal diseases on turf-grasses, field, nursery and container grown ornamentals, commercial and residential landscapes. A professional fungicide that controls damaging diseases that are found in many turf-grass and ornamentals. A professional liquid fungicide that provides curative and preventive disease control for golf course turf and ornamental plants. A professional fungicide that controls commercial turf-grass and ornamental diseases for golf courses, greenhouses and nurseries. 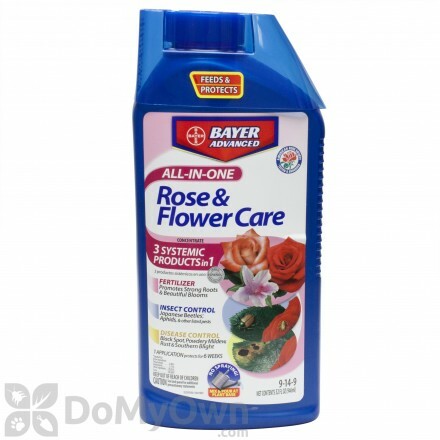 A systemic fungicide that treats and prevents plant diseases like black spot, rusts, and powdery mildew on flowers and shrubs. An professional fungicide that controls soil and foliar diseases for agricultural crops and ornamental plants. A professional broad-spectrum fungicide that provides excellent and long-lasting control of 21 diseases in one application. Tebuconazole has a mode of action that is a systemic action (as well as preventive, curative, eradicative action). It acts as a sterol inhibiting fungicide (preventing spores). This application prevents or inhibits the diseases made by fungi. First inhibiting the spore germination, then by inhibiting the growth of the fungus. Tebuconazole is registered in over 100 countries worldwide for use in over 90 different crops including vegetables, grapes, canola, peanuts, bananas, cereals, pome and stone fruits, coffee, rice and soybeans. Tebuconazole is classified as slightly hazardous, and of moderate acute toxicity. Findings on whether or not Tebuconazole could have carcinogenic effects is not yet conclusive.